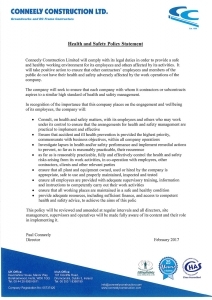 Health & Safety is at the forefront of all decisions made by Conneely Construction Limited. We are proud of our safety record over the last 24 years and continually trying to update our systems of work to ensure that this record is carried forward. We employ external safety consultants to carry out site visits on a regular basis. 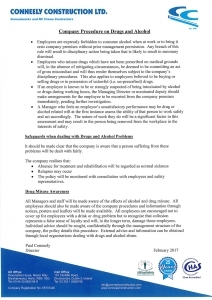 All management has completed SMSTS and our supervisors have completed SSSTS. Our entire workforce has CSCS / CPCS cards and all equipment is regularly checked, signed off and properly maintained. 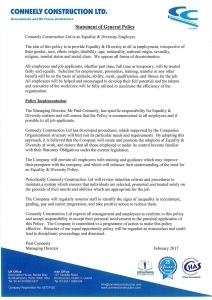 We conduct toolbox talks on a weekly basis, site and task specific method statements and rick assessments are delivered as an on-going concern. 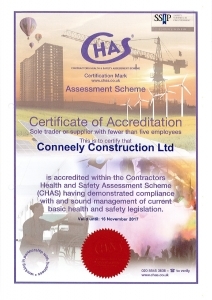 Conneely Construction as a company is accredited to CHAS. 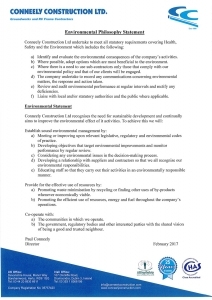 Our Health & Safety policy statement and our Environmental policy statement can be view by following the links below.